The 15th day of the month of Shvat, which starts tonight, is one of four Roshei HaShana/New Years, according to our tradition. The New Year of Trees, or more precisely, fruit on trees. For an awesome primer and practical guide on this, my dear friend Kohenet Shamira Behira (aka Sarah Chandler) wrote a great piece recently. The B’nei Yissaskhar, great 19th century chassidic calendarist, picks up on Rashi's commentary that this marks the time when sap starts rising again in the trees. (We call it maple tapping season in the Northeast.) In the dead of winter, things are happening deep inside: life is returning. We see this also happening in the animal world, by the way. Winter is when hibernating bears give birth to their cubs. Imagine! How much live is coming forth under the surface! 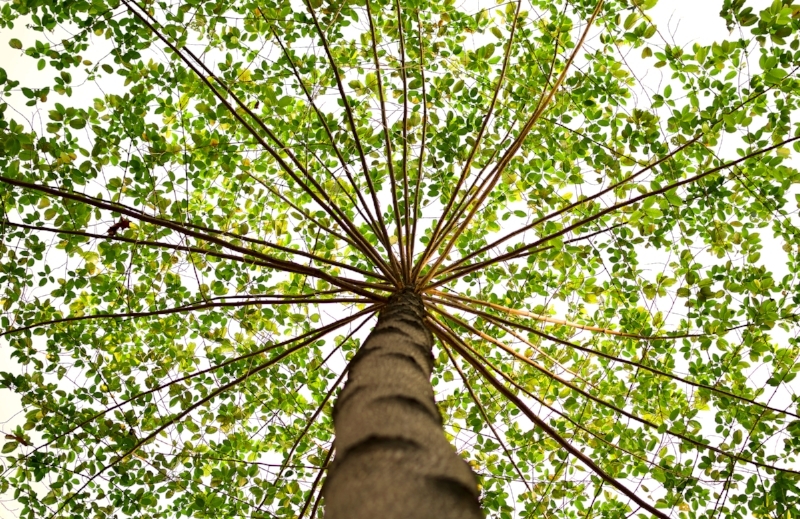 The B’nei Yissashkar wanted us to use this time to explore our spiritual practice, to revive our winter-deadened trunks with an upsurge of new life. I wonder: what is rising up within you? What do you need to bring forward to revitalize your being? I also take this metaphor sociologically: in this winter of our national discontent, what are we bringing forth? What is rising up from the roots we’ve put down or, conversely, where do we need to root down in order to rise up? It seems clear to me that the next turning of human consciousness demands a return to deep communal structures, a re-rooting in one of the essential truths of humankind: we’re better together. Predictable punchline: this is one of the essential “why's” of Asiyah. On this Tu b’Shvat, I want to bless you and ask you to bless me. We should bless each other to reach down into the infinite well of our beings to bring forth the aliveness that we are, revitalizing and nourishing ourselves, and in the process, those around us. And we should also be blessed to step more deeply into community. Real, “thick” community, which will help us to root down and rise up. Amen v'amen.